Warm water temperatures have triggered “hoot-owl” fishing restrictions, beginning Thursday, August 3, on the Bitterroot River from Veteran’s Bridge on Highway 93 just north of Hamilton, downstream to the confluence with the Clark Fork in Missoula (approximately 55 miles). “Hoot owl” restrictions close fishing from 2 p.m. to midnight. 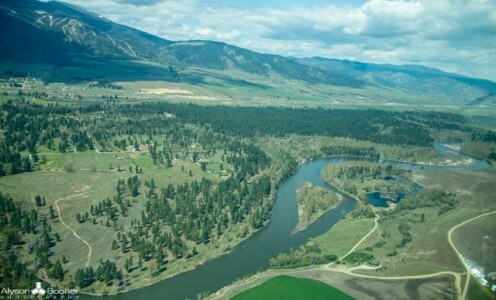 The Bitterroot joins a portion of the Upper Clark Fork River and Silver Bow Creek that have been under the same restrictions since July 29. Silver Bow Creek: From the confluence with Blacktail Creek to where it enters Warm Springs Ponds. FWP reminds anglers to wet hands before handling fish, remove the hook quickly and gently, and keep the fish in the water as much as possible. The Blackfoot River has not reached the drought response triggers but has had warmer water temperatures as well. Anglers can help now by voluntarily fishing during the coolest hours of the day and using catch and release fishing techniques. Some Blackfoot water right holders are or will soon be cutting back use as part of the Blackfoot’s “shared sacrifice” drought response, where anglers and irrigators work together to reduce stress on the fishery during critical periods. For more information on the Blackfoot Drought Response Program, or for updates on current drought response activity in the Blackfoot, visit www.blackfootchallenge.org. FWP continues to monitor temperature, flows and fish mortality on rivers and streams and reevaluate the need for additional restrictions. For up-to-date information on restrictions related to drought across Montana, visit fwp.mt.gov/news/restrictions/.